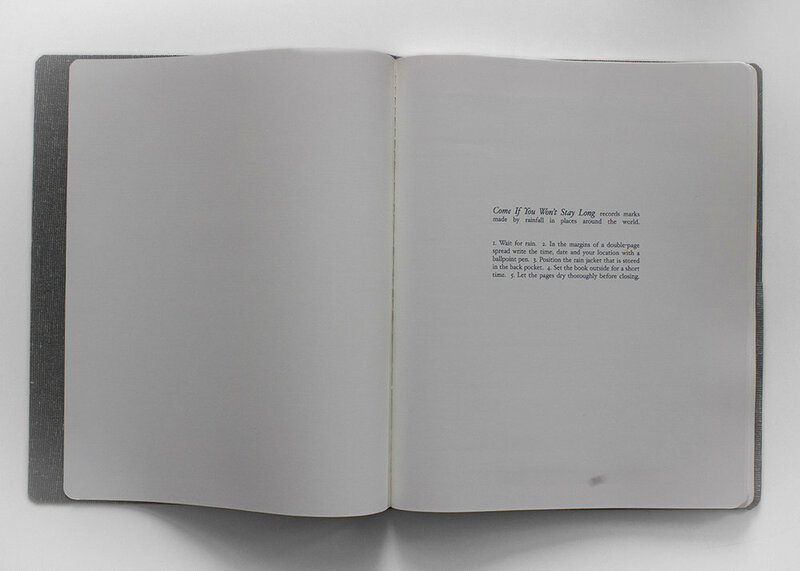 Come If You Won’t Stay Long is a book designed to be imprinted by the rain. With this project, I am interested in how rainfall, as it makes a global impact, also makes us feel so much. Just as sorrow is immeasurable, so is the ebb and flow of water, even as we quantify it and count it among our greatest resources. 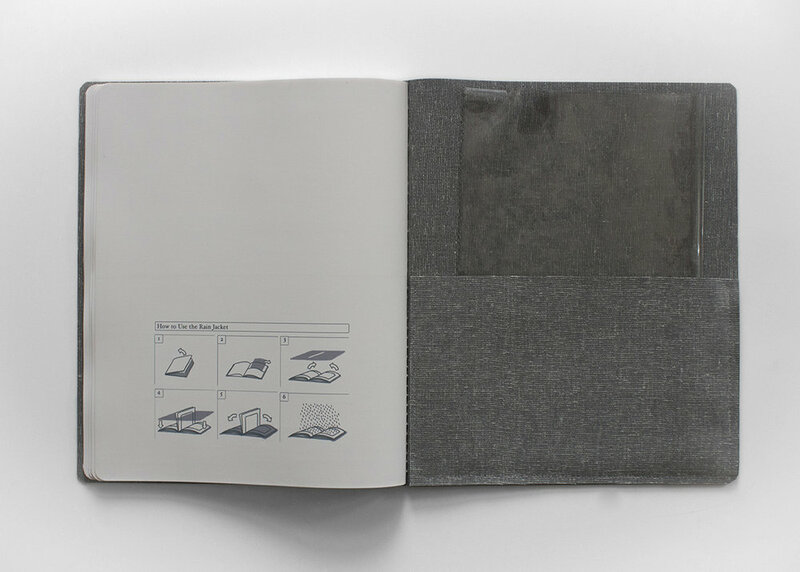 When the book is placed in the rain, droplets release the water-soluble ink printed in blue washes on the polymer paper. The pages may be annotated by recording the place and date with a ballpoint pen. In this way, there is participation between rain and a recordist. Over an indefinite period the recording continues in different geographic locations. 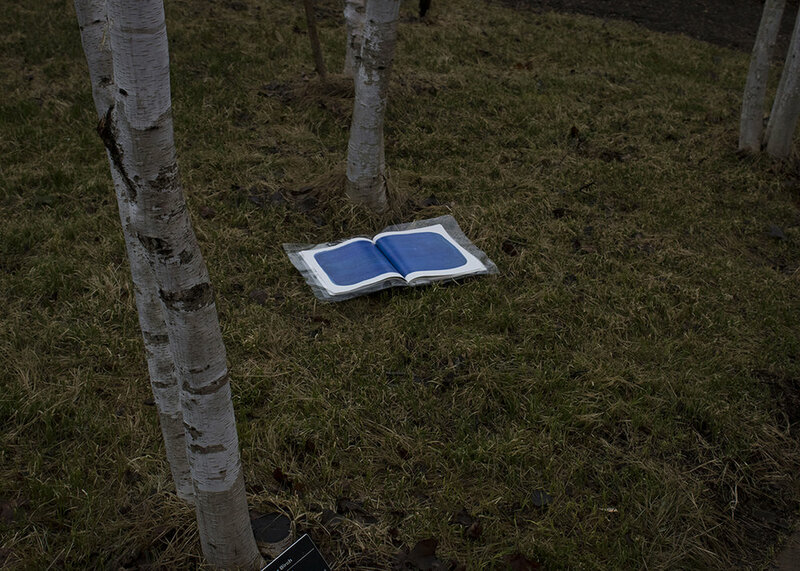 While the book's pages have been prepared for the eventuality of a rainfall, they may also be used to record an absence of rain.